James Patten is an interaction designer, inventor, and visual artist. 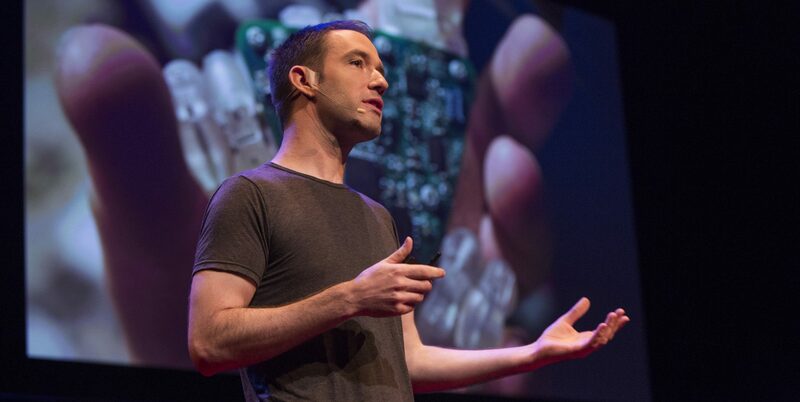 Patten is a TED Senior Fellow and speaker whose studio-initiated research has led to the creation of new technology platforms, like Thumbles, tiny-computer controlled robots; interactive, kinetic lighting features; and immersive environments that engage the body. Patten earned his doctorate at the MIT Media Lab where he studied in the Tangible Media Group. His work has been exhibited or performed in various venues including the Museum of Modern Art, the Transmediale Festival in Berlin, the Museo Guggenheim Bilbao and the Ars Electronica Center in Linz, Austria and recognized in several international design competitions. James Patten is Director and Principal of Patten Studio, a decade old practice operating at the confluence of design, technology, and physical space to create interactive experiences. Projects and clients vary in scale and across industries, from brand activations, like Intel’s SenseScape at CES 2016, to installations for public institutions, like the Museum of Science and Industry (Chicago). His body of work however remains consistent, conceptually, in its merging of both digital and physical spaces for “richer, real-world” tangibility. Patten’s article, “Architecting Experiences” introduces a new set of design principles towards creating interactive experiences that help foster meaningful face-to-face human connections.